but we can can do small things with great love. ​Welcome to the Blessed Mother Teresa Syro Malabar Catholic Church of Las Vegas. As a part of our two thousand year old history of Indian Catholicism, given to us by our forefather in faith, Mar Thoma Sleeha (St. Thomas the Apostle), we aspire to be a community of devout Catholics growing in faith and reverence for our Lord Jesus Christ. ​Would you like to show your support to our new church? Consider making a financial donation! 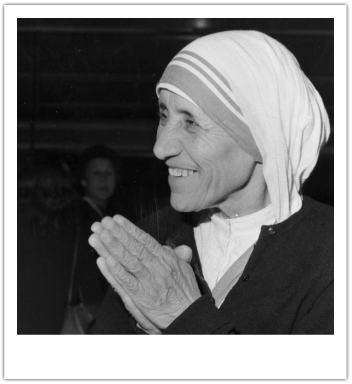 ​Welcome to the Blessed Mother Teresa Syro-Malabar Catholic Church of Las Vegas. As a part of our two thousand year old history of Indian Catholicism, given to us by our forefather in faith, Mar Thoma Sleeha (St. Thomas the Apostle), we aspire to have a community of devout Catholics growing in faith and reverence for our Lord.